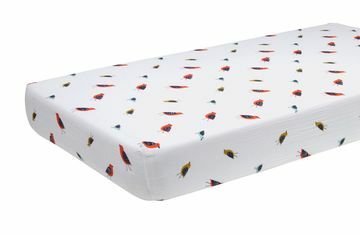 Invite bright birds into the nursery. Mix in more of any color—from blue to pink to red or yellow—to make it your own. 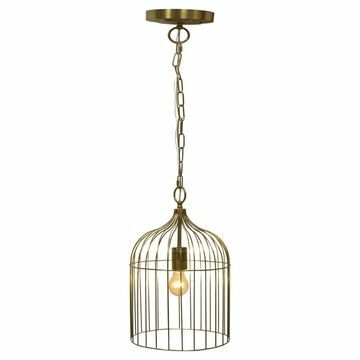 Pillowfort’s Cage Pendant Ceiling Light adds a modern feel. $60. 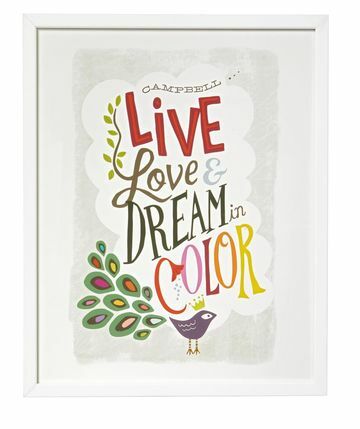 Add your baby’s birth details for a cute custom art print by Griffinbell Paper Co. $29 framed. 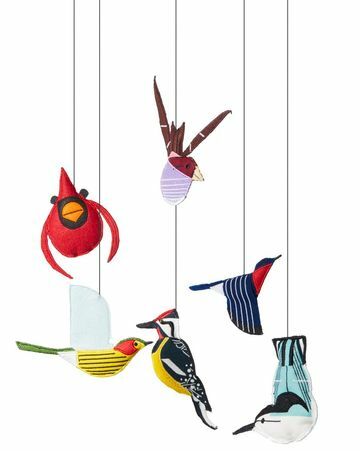 Six of artist Charley Harper’s iconic avian drawings come to life on this mobile. $70. 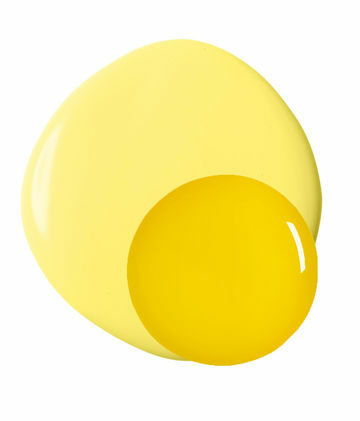 Brighten the walls with Sunbeam (big circle), and use Abstracta (small) for accents. $60 per gallon of Natura paint. 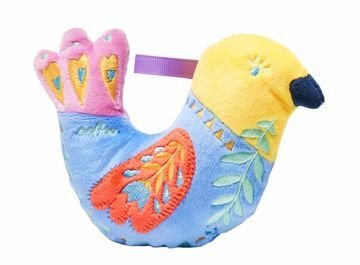 Inspired by traditional folk art, this embroidered rattle is a perfectly beautiful baby toy. $15. 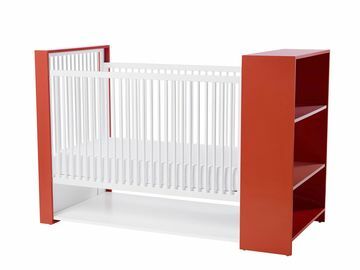 The AJ Crib works triple duty with shelves at one end and storage space underneath. $1,600. Cover the crib mattress with this soft muslin crib sheet. $30.